Christ Removes the Sting in Death! Sunday afternoon Dawn and I attended a memorial service that our friends from Lo Mejor del Trigo in Tijuana held for Jacob Griffiths. It was a moving and heart warming service. Scott Griffiths, Jacob’s dad was there and Susan Griffiths, Jacob’s step mom. Dawn and I never met Jacob, but we do know Scott. Jacob lived 32 years. He packed a lot in to those years, and even though his life was cut short he lived it to the fullest. Jacob loved the Lord and he served him in Mexico and other places in Orange County where he lived and around the world as he had opportunity to travel. We mourn his loss, and we hurt for the family. I can’t imagine losing one of my children. He also was a husband, and his wife is pregnant with their first child. A baby boy on the way. That’s the sting of death. It’s painful. Our prayers go out for this family. Even in this tragic loss, there is hope. Dawn and I were encouraged to see how the Lord is ministering to Scott. He is sad, but God is giving him and his family hope. It was wonderful to hear all the beautiful testimonies and words of encouragement from all the pastors with Lo Mejor del Trigo. Even though it was a memorial service it was a hope filled service. God reminded me that Christ takes away the sting of death for those that are in Christ. I shared from 1 Corinthians 15:54-57 when I had a chance to share with Scott and Susan the others in attendance. It’s a passage that gives us courage as we are confronted with the reality of death. Dawn and I pray that the Lord will continue to comfort Scott and Susan and Jacob’s widow and other friends and family members who are traveling through the valley of the shadow of death. I’m grateful the Good Shepherd promises to be with them though out the journey. 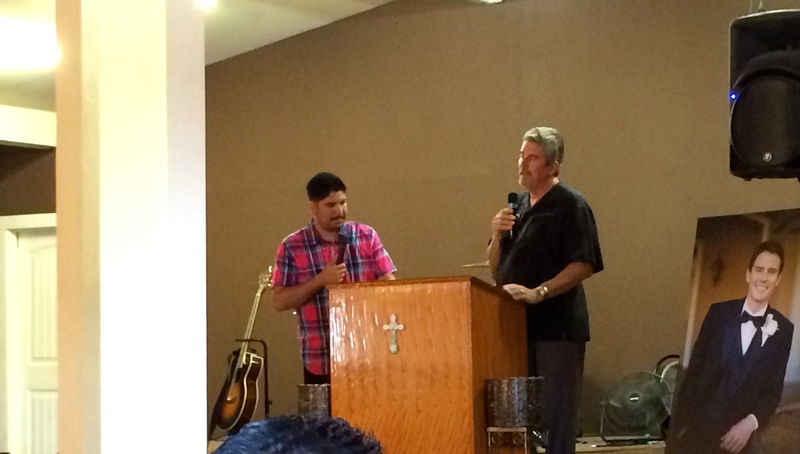 Scott and his family are special friends and partners in the ministry with Daniel Nuñez and Lo Mejor del Trigo. Scott has led numerous trips from his church, Mariners in Irvine. In the last couple of years we’ve gotten to know Scott as he’s organized some of the building projects we’ve done with Lo Mejor del Trigo and Harbor church in Tijuana. 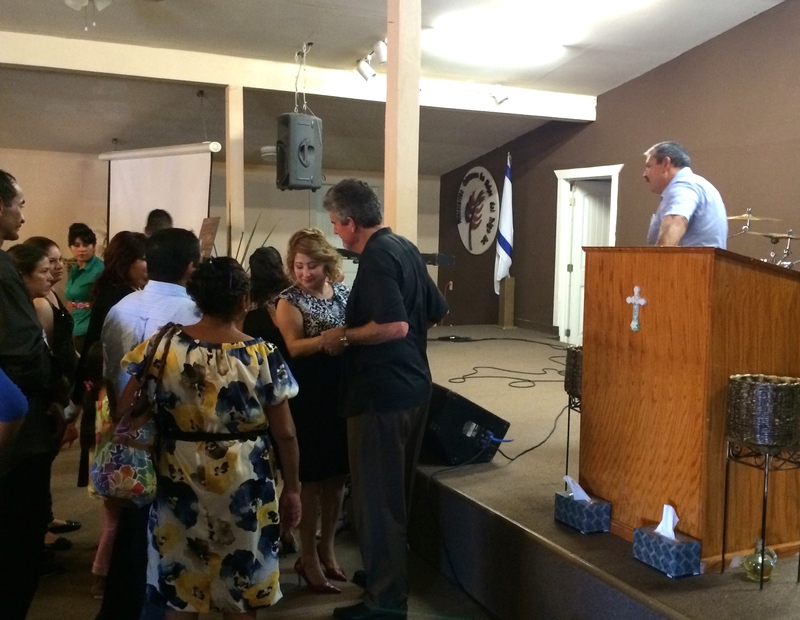 Susan Griffiths coordinates the sponsorship program for over 300 children in Tijuana. Both Scott and Susan have served tirelessly on the border. God has used them to be a blessing to many. We pray for the Lord’s blessing and comfort as they mourn. O Lord, please do wrap your loving arms around them, and encourage them along the way! AMEN, CHRIST IS WITH THE FAMILY AND COMFORTS ALL. Yes – that gives us comfort. If it weren’t for Christ and the hope He gives us, these things would be unbearable. So thankful for Him!